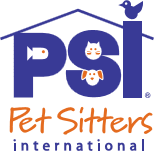 Pet Sitting Kennel 'Alternative' Company! Prepayment is required. If we need to send an invoice there will be a $5.00 service fee and interest of 1.5% per month assessed... thank you. This consultation is a chance for the pet owner to meet with a TLC Pet Care professional in order for TLC to gather the appropriate information necessary to properly care for your pets. We will also furnish insurance information and gather two sets of keys to your home if you decide you want to hire TLC. 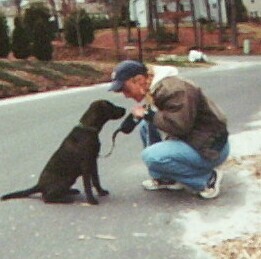 It also give the pet owner an opportunity to ask questions and address any concerns they may have. Walk ~ Play ~ Love ~ Attention Feeding and watering pets, sifting litter box (free with cat care)... We'll even clean up after your loved one! We come to your home for a FULL 20 minute visit. Our goal, if caring for your dog is to get your dog out the door and walking immediately. Visits include play time, feeding, litter box sifting, yard waste clean-up, and home security check. Your pet is our focus first! 30 minute visits available during off peak time at an additional charge. For more than one pet, only $2.00 per additional pet per visit over the base price. Mileage charges may also apply but will be made known prior to Initial In-Home Consult. For a 30 minute single pet visit (off peak times only) - $22.00 Charges will be made known if higher than base price. "Where a dog can be a dog!" Working to constantly insure a happy and healthy pet!